You can find the Laughing Buddha in a variety of FengShui products – from statues and bells to key chains and jewelry. If you want to use a statue of the Laughing Buddha in your home, where and how would you place it? What materials should you go for – metal, resin or wood? Does it matter? Yes, every detail matters if you want to create good FengShui in your home. But first, have you asked yourself why is the Buddha actually laughing? Aren’t Buddhas suppose to be serene and peacefully looking within? Apparently not all of them. The most common FengShui use of the Laughing Buddha is as a cure for wealth and good luck. The symbol of Laughing Buddha is considered to bring auspicious energy, wealth and joyful blessings anywhere it is placed, so now you know why you can see at least one Laughing buddha in Chinese restaurants, for example. 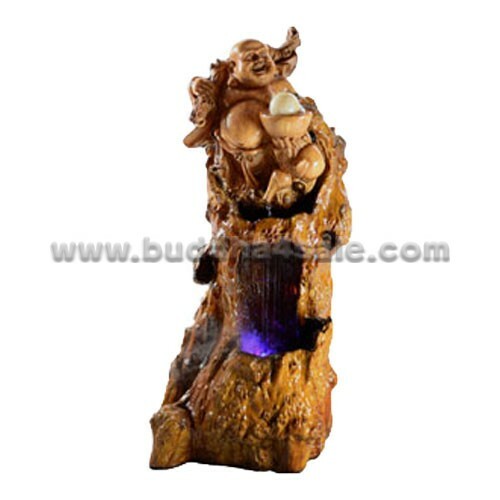 Choose a Laughing Buddha statue that helps you attract and strengthen the FengShui energy you need. If you want to use a Laughing Buddha statue as a FengShui cure for your home, first decide on best materials and colours for your decor. 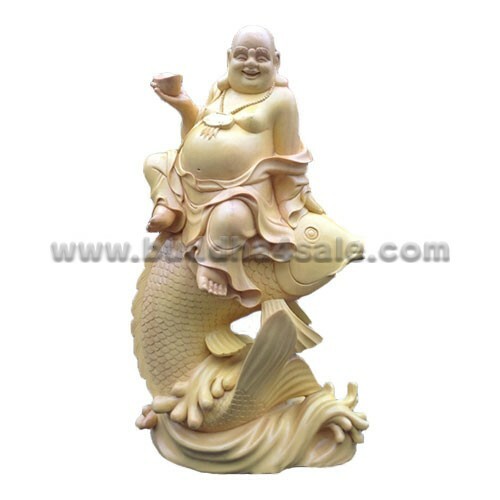 You can find FengShui statues in a variety of materials, from resin to metal, rock crystal and even porcelain, and the Laughing Buddha statues and figurines are no exception. 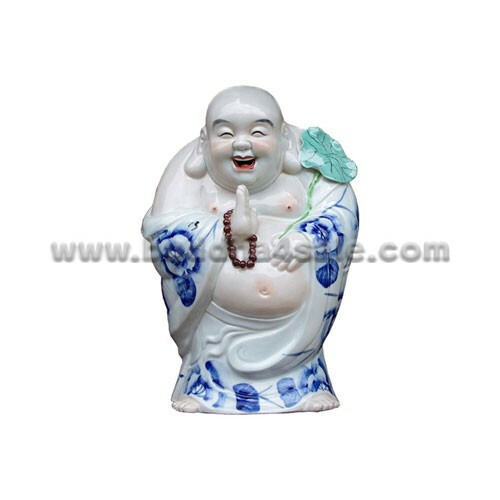 Would a white colour Laughing Buddha look best in your home? Maybe a golden one? One should place a Laughing Buddha statue in his or her home to bring contentment and serenity. Buddha’s birthday falls on 8th May and it is considered auspicious if a candle is lightened on his birthday. It is said that it fulfills desires. • The best FengShui locations for a Laughing Buddha is close to the front door, so that you can see it as you come home. • Placement of Laughing Buddha in the East sector (FengShui Bagua Formula) or in a direction where it could be seen by all the family members when they are seated in the living room or the main hall is considered to resolve the differences amongst the family members. • If the Laughing Buddha statue is placed facing one’s Sheng Chi direction (FengShui Kua Formula) then it is said to bring wealth, helpful in self-development, well-being and victory. It helps in achieving one’s goals. • If you want to attract more wealth energy, then look for a statue of Laughing Buddha with gold ingots and place it in the Money area of your home. Laughing Buddha displayed in your home or garden in the east (health), west (children, descendants) or southeast (wealth) sector also brings windfall luck and increased income in the family. You can also place it in your office in these directions. • Placing Laughing Buddha in office gives clear mind, reduces tensions and eliminates enemies’ effect. 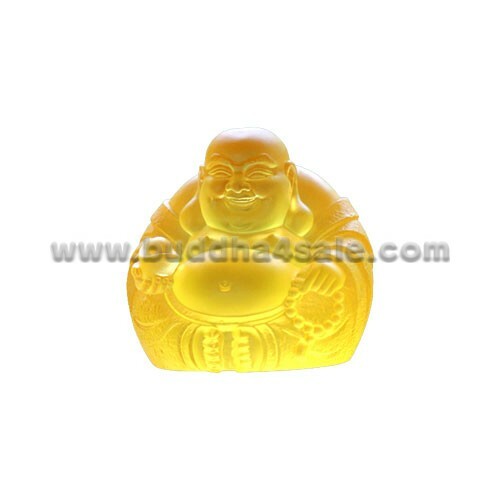 • Keeping Laughing Buddha on one’s desk enhances luck and fulfils aspirations. • As Laughing Buddha is considered to be a patron of children, it can be good FengShui to have a small statue in your children’s room (if they like it); or in the study. • If you focus on vibrant health and it’s no doubt to choose a Laughing Buddha with a Wu Lou in his hand and place the statue in your Health FengShui bagua area is . • Place inside and outside your home in the southwest sector (relationships) if the seated Happy Home Buddha holds a parasol over his shoulder. • Laughing Buddha is revered in Buddhism and FengShui and hence it should be treated with respect. One should not place it in kitchen, bathroom or floor. • Laughing Buddha should be placed at a height at least equal to eye level. • It should not be placed near electrical equipments and motor parts. • It should not be put on TV either. • It should not be placed on floor also. • It should best be placed at a height of 30” at least and facing the main door. • If it is not possible to place the Buddha statue facing the main door, then it should be placed on a side or corner table which is facing the main door. If you really love the Laughing Buddha energy and are looking to buy a statue for your home, it’s better to try to find the biggest Buddha possible. If that isn’t possible, a smaller sized one will still work. It just won’t have as big of a power bunch. This way, you would actually be able to rub the Buddha belly for luck! The big Buddha belly that can hold deep laughter, as well as stomach all your troubles and transmute them into happiness.